Harriet Richards ran the London Marathon on April 22 2018 for very many reasons. She was one of very few runners to have secured a much sort after Golden Bond place as part of Bowel Cancer UK and Beating Bowel Cancer’s team. "My Grandpa was diagnosed with a bowel cancer in January 2016 which had spread to his lungs and liver. He died 4 and a half months later. He never made it to see his only granddaughter get married a few months later. "Only a week before his diagnosis he was working on his farm. In the few weeks before he died I got engaged and he was so excited. He never made it to see his only granddaughter get married a few months later. This is why raising money for Bowel Cancer UK and Beating Bowel Cancer is so very important to me. "However, bowel cancer is not only poignant in my personal life but also my working life too. I work as a Senior Nurse Endoscopist in the NHS and regularly undertake procedures for the National Bowel Cancer Screening Programme. This is a very rewarding, yet challenging and demanding job which requires patient participation in helping to reduce the incidence of bowel cancer with the emphasis on early diagnosis. 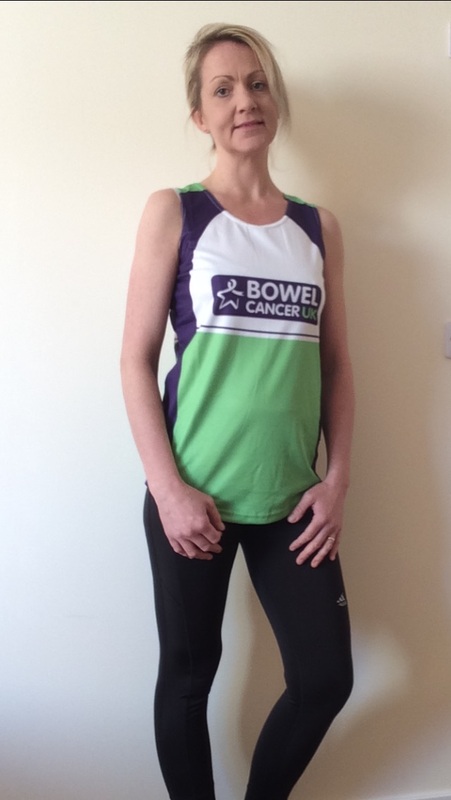 I see first hand on a day to day basis how common bowel cancer is and how dramatically is can affect peoples’ lives and would very much like to see this decrease, so by getting sponsored to run the London Marathon I could help to make this happen."